A Southwest Airlines flight made an emergency landing in Philadelphia this morning after reported damage to an engine, the main body of the plane and a window, the Federal Aviation Administration (FAA) said. 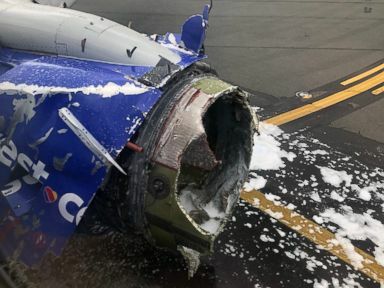 Flight 1380 was en route from New York City’s LaGuardia International Airport to Dallas Love Field when it was diverted to Philadelphia International Airport, where it landed safely, airport officials said. 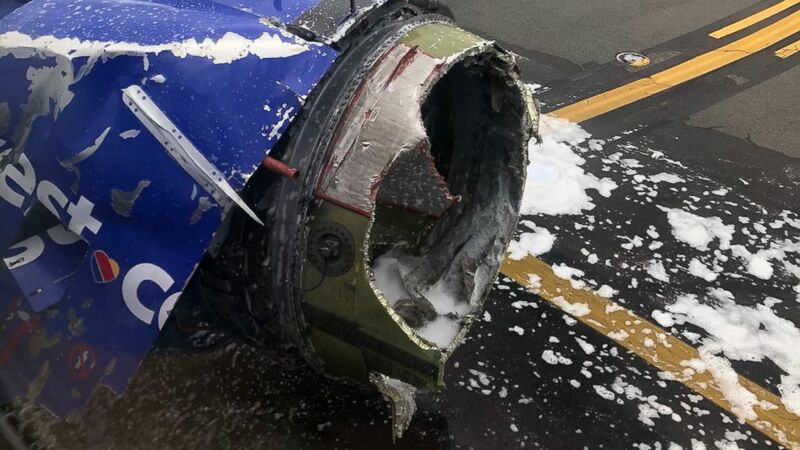 Photos posted to social media showed passengers with oxygen masks, a blown out window and remains of an engine. After the 11:20 a.m. ET landing, passengers deplaned using the built-in steps, the FAA said. The National Transportation Safety Board and the FAA are investigating. 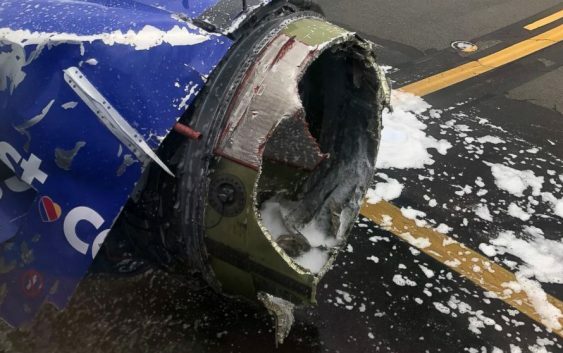 Boeing said it is providing technical help to the investigation.